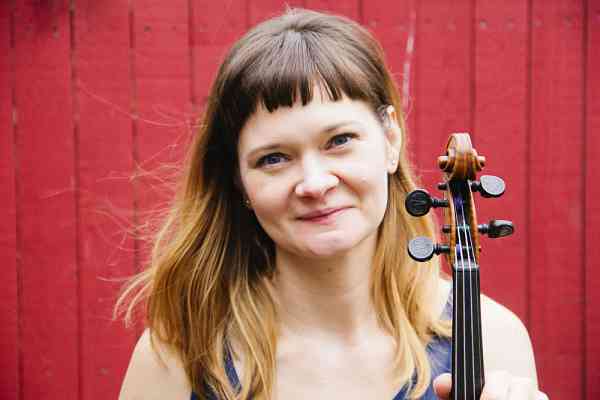 Erin Ellis is a violin and viola teacher based in the Greenpoint, Brooklyn neighborhood of New York City. Erin fell in love with the violin at age seven under the instruction of Natalie Colbert at E. Rivers Elementary School in Atlanta, GA. She studied violin through high school and college, and received a BA in Communications with a Minor in Music from Georgia State University. After a lifelong study of the violin, Erin began to play the viola as a happy accident. As an undergraduate student in college, Erin’s chamber music group needed a violist to play the Schubert Trout Quintet. Never one to turn down a challenge, Erin jumped right in and never looked back. She has played viola in addition to the violin ever since. Erin’s studio is in Greenpoint, Brooklyn. After a lifetime love of playing the violin, Erin is eager to share her knowledge of music with children. She is passionate about enabling her students to express themselves through music. In addition to teaching, Erin has played with the Atlanta Community Symphony Orchestra, the Mannes Community Orchestra in New York, NY, and the Doctors Orchestral Society of New York. She currently plays violin with the Brooklyn Symphony Orchestra and plays violin and viola with different chamber groups. Erin has played on albums for recording artists in Atlanta and NYC, and also composes and records her own original music. Erin is an active member of the Suzuki Association of the Americas, the American String Teachers Association, and The Chamber Music Network. She completed her first unit of Suzuki teacher training with Carrie Reuning-Hummel, Units 1 Revisited, 2-6 with Judy Bossuat-Gallic, and will continue her Suzuki Violin Teacher Training this year.